Former Indian captain Mohammed Azharuddin reckons that the ageing Sachin Tendulkar could opt for a more open-chested stance to counter quick incoming deliveries which has accounted for his bowled dismissals in recent times. Azhar said a chest-on stance will give Tendulkar just that little extra time to cover the swing of the ball and such a change may help the batsman on the bouncier tracks of South Africa where India will play their next Test series. "To each his own, but I believe that Tendulkar can opt for a chest-on stance which will enable him to play the pacers easily. With age reflexes get slower but you can wriggle out if you have the technique like Tendulkar has," Azharuddin said on Friday. Tendulkar, who has now retired from ODIs, has been bowled eight times and trapped leg before wicket 10 times in his last 37 Test innings. Azhar, a veteran of 99 Tests and 334 ODIs, further explained, "With a side-on stance, you can see the delivery with only one eye but chest-on stance helps you observe with both eyes. This also helps one to cover the swing. I have a feeling that Tendulkar will find it easier to play the inswinger. Once he scores a few runs, he can again revert back to his side-on stance." Azhar, known for his silken wristy strokes during his playing days, cited his own example of having sought Zaheer Abbas' advice on changing his grip during India's tour of Pakistan in 1989 which helped him regain lost touch. "Initially, I found it painful as it hurt my thumb and my right hand would come off the handle. It took time but I was open to suggestion and it worked for me," the 50-year-old former cricketer, who is now an MP from Moradabad, said. 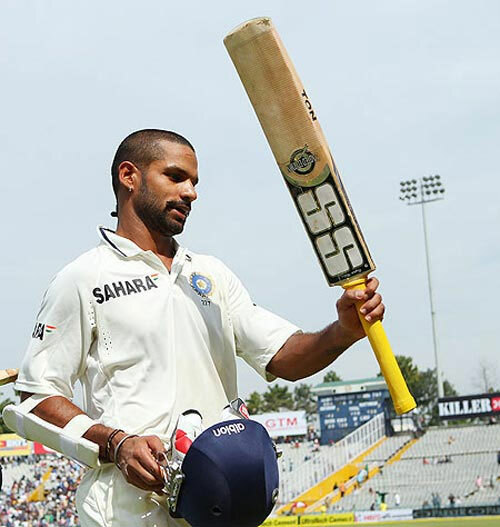 On Indian cricket's newest batting sensation Shikhar Dhawan, Azhar said that he was impressed with what he saw of the Delhi swashbuckler but his real test will be against South Africa at the end of the year. "Shikhar's real test will be against Dale Steyn in South Africa. He is a good player to watch as he has a high-on-handle stance. A lot like Allan Lamb or Mark Waugh -- the players of our generation", Azhar said. "He is a compulsive puller but I saw a tendency of his to recede back to short balls during the Champions Trophy in England. He should sort that out before Steyn and Morkel come calling," observed Azhar, who has over 6000 plus runs in Test matches. Azharuddin was all praise for the trio of Virat Kohli, Cheteshwar Pujara and Rohit Sharma. Unarguably the best fielder during his generation, Azharuddin is happy to see that India has done well as a unit. "In my time, we didn't have too many good fielders and thus there was no consistency. Now we have Virat, Raina, Jadeja in the inner circle and all of them are brilliant", Azhar said. "We have two potent new ball bowlers in Bhuvneshwar Kumar and Umesh Yadav. The consistency with which Bhuvi has produced initial break throughs is laudable. It's a good team that Dhoni has and I expect them to fare well consistently over a period of time," he added. The Hyderabadi stylist declined to compare the style of captaincy between Mahendra Singh Dhoni and Sourav Ganguly. 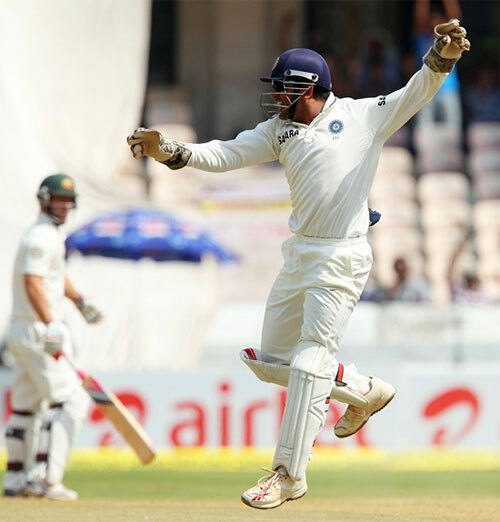 "Sourav did well in his time, as he won number of Test matches outside the sub-continent. As far as Dhoni is concerned, results speak for themselves. He has been successful and you can't argue against success. There was time when he lost eight successive Test matches and I felt he needed a break. But selectors and the Board had confidence and he has come back well." When asked the right technique to tackle fast bowling, Azhar said he didn’t fancy the idea of modern-day batsmen standing a yard out of their crease. "I never believed in standing out of the crease against 140 plus bowlers. Because that gives a second less and speed of the delivery is few kilometres more if you are standing out. "People do it to negate the swing but when I played Wasim Akram, I found it easier to stand deep in my crease. I liked that extra second to decide on my shot selection as I was primarily a back foot player," he said. Are Arthur's allegations in poor light and disappointing?